Located in Ernakulam (Kerala, India), JAQ International is engaged in arranging cruise voyage in Kerala. Hopping on a cruise is no more a dream today. You can enjoy your trip more by adding a cruise voyage in it. 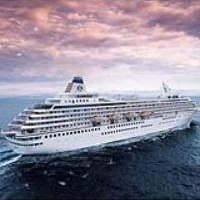 We are proficient in booking cruise voyage in Kerala and ensure to provide splendid amenities on board like dining area, swimming pool, accommodation, food, etc. We make available amazing packages for cruise that fits your budget or suits your lavish lifestyle. Enjoy the serenity of the nature around you while being amidst the waters on a cruise. It is the best experience one can ever have. So, book your cruise voyage with us.